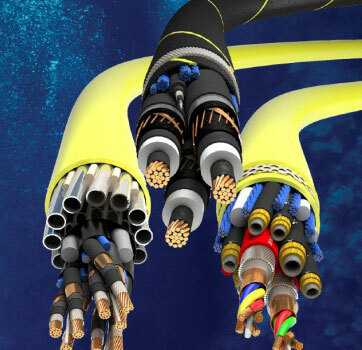 JDR Cable Systems (Holdings) Ltd. (JDR), supplier of subsea umbilicals and power cables to the offshore energy industry, has announced that it is to be acquired by TELE-FONIKA Kable (TFKable). The transaction is subject to regulatory approval. TFKable is a global producer of wires and cables. Both companies have a long history of collaboration, with TFKable being JDR’s important business partner providing water blockedpower cores for its cable and umbilical systems. JDR’s highly technical subsea systems, used in the global offshore oil, gas and renewable industries, allow its customers to power and control their offshore operations, and will enhance the range of cable solutions TFKable can provide to its customers. “TFKable is planning to maintain JDR’s operations in current locations, providing new opportunities for the local employees and business partners, and offering our customers innovative solutions,” says Cupiał-Zgryzek. The transaction, which is subject to receipt of required regulatory approval and consents and other customary closing conditions, is expected to close in Q3 2017. Simmons & Company International is acting as financial advisor and Macfarlanes LLP is serving as legal counsel to Vision Capital. Mills & Reeve is acting as legal counsel to the JDR management team. JP Morgan and Société Générale are acting as financial advisors and CMS is serving as legal counsel to TFKable.